Tiger Tog order forms are now available on the website. We would like order forms turned in by next Friday for this ordering period. If you have any questions, please feel free to email Erik Larson at larsones@sbcglobal.net Thank you! 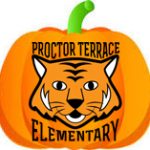 Checks should be made out to Proctor Terrace PTA. Money should be placed in a sealed envelope with student’s name, teacher’s name & Walk-a-thon written on the outside. Envelopes can be turned in to the student’s teacher or the front office. If your child did not participate in the Walk-a-thon, please consider making a flat donation to the PTA. It is the PTA’s main fundraiser of the year. Our goal is to raise $35,000! Prize hints: Laser Tag Party, Guitar + lessons, Gift Certificates to T&B Sports, Play it Again Sports, Scandia Golf, Cal Skate, Snoopy’s Home Ice, Toyworks, Trek Bike Store, Sift, Fleet Feet, Pump It Up and more! Pizza Parties for Top Class Walkers and Top Class Earners! 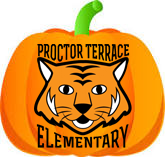 Any student who turns in a donation of $10 or more by October 11th will be entered to win an ipod Nano generously donated by 3rd grade teacher Nancy Cartan. Winner will be drawn at the Awards Assembly. * Money can be turned in after the 11th, but won’t be counted towards student prizes. Attention Parents: Did you capture any special moments at the Walk-a-thon? Would you like to share your photos so we can put them in our slide show at the Awards Assembly? Please put them on a CD and turn them into the office by Friday October 11th or email them to Kathy Doig at skdoig@sonic.net. Thank you! Candy Donation Box set up by the PTA bulletin board so please donate if you can. Dum Dum Lollipops are in high need for one of the games. If you are not able to sign up yourself please contact Sheila Parra at shilaparra@yahoo.com for help. Interested in identifying safe routes to school and areas that are of concern? Our school was selected as one of 10 in the county that will receive help from a grant on this. The Dept of Health Services asks for a 2 and a half hour commitment for 1 day to meet to do a walkabout in the neighborhood to develop a safety map. This will happen sometime between Oct 14 and Nov 8, date TBD. Email Connie Sultana at conniesultana@sbcglobal.net if you are interested!